We are the leading Manufacturer, Supplier and Exporter of Knitting Machines such as Hand Knitting Machine, Computerized Knitting Machine and Industrial Motors, which are available in different specifications and dimensions. We are the prominent manufacturers of Hand Knitting Machine which are applicable in various textile industries. Our range of products includes Flat Knitting Machines, Knitting Machine, Linking Machines, Cone Winders, Electronic Computer Display. These machines are efficient sufficient in weaving in various fabrics. We offer these knitting machines at affordable prices at international standard. 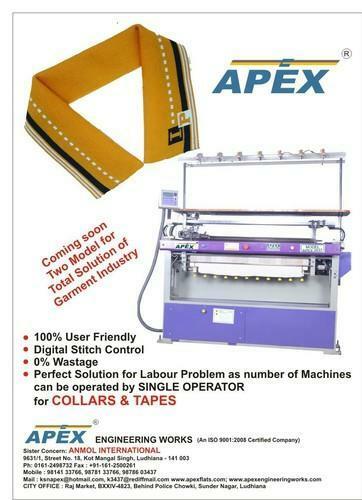 These machines are available in different sizes and designs as per requirement of clients.